Get up to date with the latest news on Apple's new iPhone 5. Around the world, Apple fans are breathlessly awaiting the release of the iPhone 5. According to current estimates, the iPhone 5 will be available for sale by this fall or winter. In addition to the iPhone 5 release date and the release of the new iPad, rumors are already flying in regards to the new features and technological goodies the iPhone 5 is expected to include. iPhone5now.com, the leading iPhone 5 rumors site on the internet has conveniently summarized the latest rumors for all the Apple fans out there. Screen Size - One of the hottest and mostly likely rumors surrounding the iPhone 5 is its screen size; it is anticipated that it will increase in area over previous versions, which will help it compete with the Android phones. Apple Insiders have suggested the screen size to be more than 4 inches, definitely a change for Apple users. iOS6 – Since Apple had launched the new iPad with its new iOS 5.1 firmware early in the year, expect Apple to slowly and gradually develop the iOS6 for its most anticipated phone ever. Rumors have said that for iOS6 and the iPhone 5, Apple would be using a new user interface. Who knows? Time will tell. 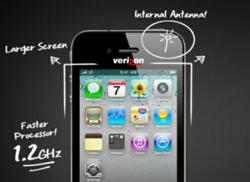 4G LTE “On top of a new battery and possibly a larger screen, the iPhone 5 will feature the latest and greatest version of Wi-Fi technology: 4G LTE. Currently the only Apple product with LTE technology is the new iPad, but that number is expected to grow enormously by the end of the year,” an article on the leading iPhone 5 site noted. For those who are unfamiliar with what LTE technology means, the iPhone news website explained that LTE stands for “long term evolution,” a standard protocol for wireless technology that specifies the frequency rate that the phone uses to communicate with wireless networks. Phones that are connected to an LTE network will have a network speed that is faster over 3G and 4G speeds. Quad core Processor – In the recent unveiling of the iPad, Apple had announced that the iPad would have the A5X chip. Though the chip does not feature a quad core processor, it features quad core graphics. Don’t be afraid! Apple has said this chip wouldn’t suit smartphones so expect the new A6 quad core chip to be released with the iPhone 5. Screen strength - In addition, according to Apple whom have claimed that Corning makes the majority of the iPhone's glass, will increase the likelihood of the iPhone 5 using the recently-released Gorilla Glass 2 on the new iPhone. The new Gorilla Glass 2, which is made by the Corning company, will be thinner and stronger than previous models, which means it will be more durable and harder to crack in case the phone is accidentally dropped.